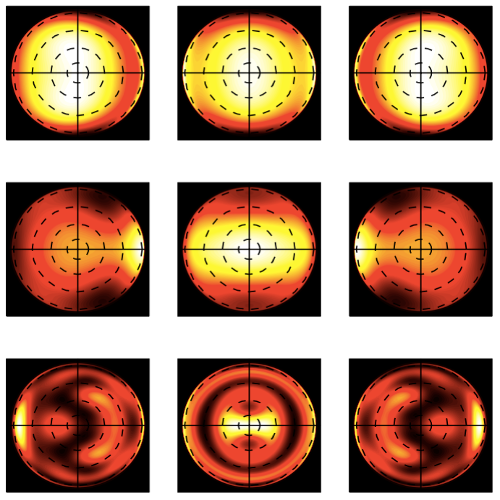 Back-scattering Position Detection for PFM published in J. Appl. Phys. An optically trapped particle is an extremely sensitive probe for the measurement of pico- and femto-Newton forces between the particle and its environment in microscopic systems (photonic force microscopy). A typical setup comprises an optical trap, which holds the probe, and a position sensing system, which uses the scattering of a beam illuminating the probe. Usually the position is accurately determined by measuring the deflection of the forward-scattered light transmitted through the probe. However, geometrical constraints may prevent access to this side of the trap, forcing one to make use of the backscattered light instead. A theory is presented together with numerical results that describes the use of the backscattered light for position detection. With a Mie–Debye approach, we compute the total (incident plus scattered) field and follow its evolution as it is collected by the condenser lenses and projected onto the position detectors and the responses of position sensitive detectors and quadrant photodetectors to the displacement of the probe in the optical trap, both in forward and backward configurations. We find out that in the case of backward detection, for both types of detectors the displacement sensitivity can change sign as a function of the probe size and is null for some critical sizes. In addition, we study the influence of the numerical aperture of the detection system, polarization, and the cross talk between position measurements in orthogonal directions. We finally discuss how these features should be taken into account in experimental designs.